Like the Classic Swivel, the Deluxe Swivel model is easy to work with. However, this swivel type design offers a larger print area, because the clip connection to the drive is invisible. The all plastic clip is smooth, clean and can be any color. The outside of the flash drive body has a few smooth ridges, which offer an interesting detail and helps your end user spin it around to access the plug. It also comes with a sleek and simple post that holds a small keyring. 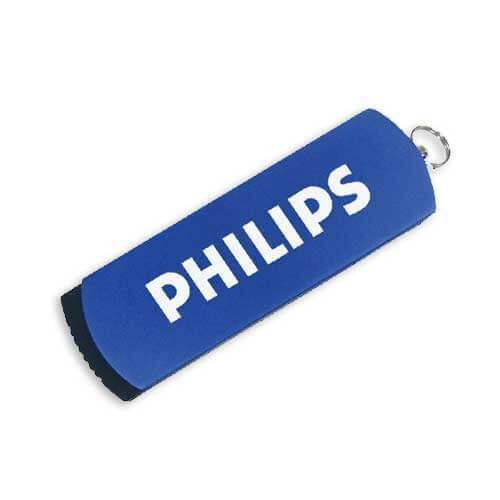 Perfect for adding a custom lanyard or other attachment to your custom flash drive.